Yes, wow! I’ve seen everyone doing no line coloring with clear or rubber stamps but I knew it had to be possible with digis too! I’ll get into it in a minute! Today is our May Release Blog Hop and this one is extra special because May is my birthday month! We have 5 new stamp sets, 2 of which have been available as a pre-release on the shop and of course the designers have prepared amazing inspiration posts that you can’t miss! 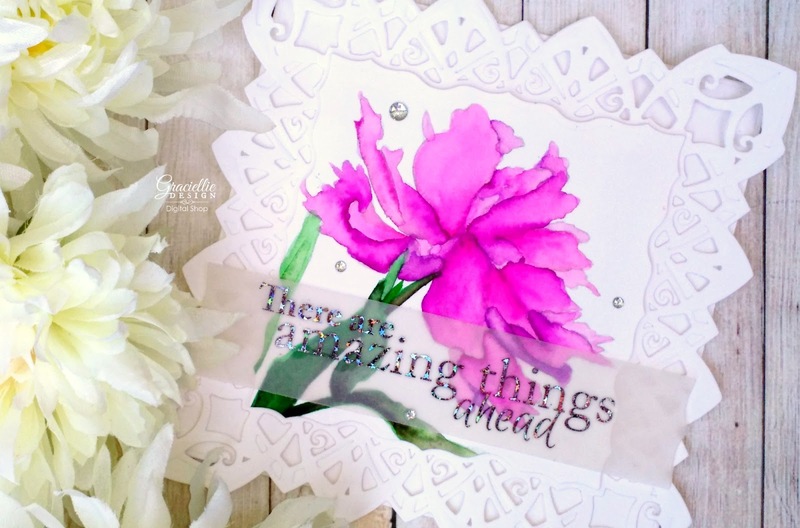 I am featuring below one of our newest stamp sets: Amazing Things, that includes a lovely vintage floral image and 5 encouraging sentiments perfect for those who need hope for things ahead. 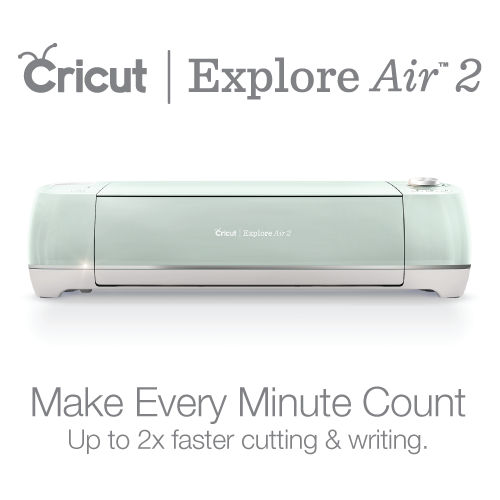 I have 2 printers, a “regular” inkjet and a laser printer. Both are super useful for digital stamp printing. 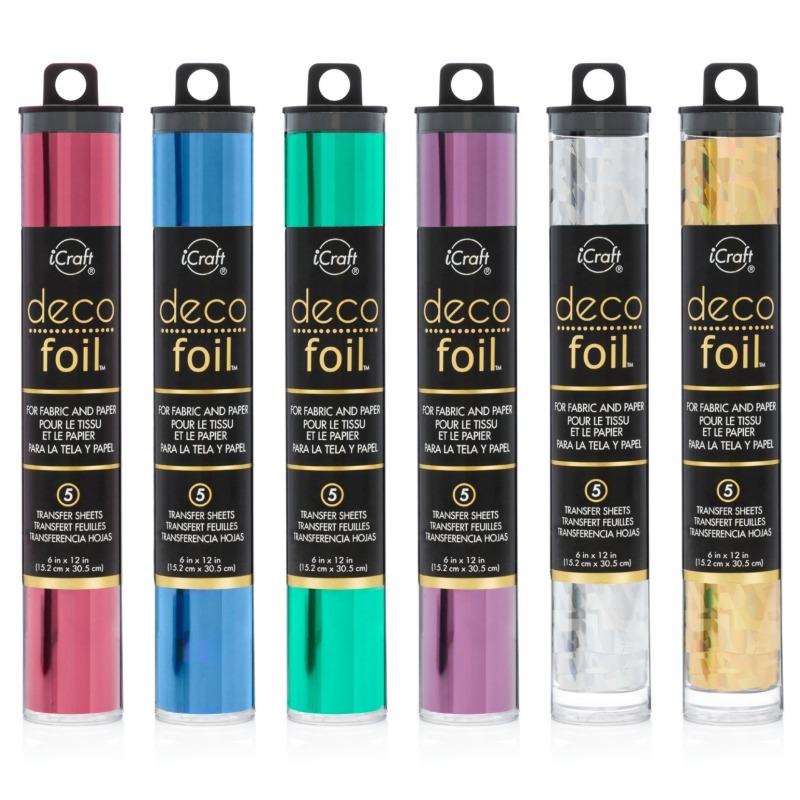 Laser prints allow you to foil and watercolor images without any smearing. Inkjet allows you to heat emboss on some glossy/non-porous papers and is great for copic coloring, but guess what? It smears with water… So I thought that if I printed this gorgeous flower in a light gray in the inkjet, the outline would melt with the watercolors and give me the perfect no line coloring effect… And it worked! I used Kuretake Zig markers (my favorite watercolor medium right now). I used 3 tones of purples/pinks to achieve the look on these petals and a good amount of patience… I tried to color using as little water as possible, wetting one petal at a time before I started adding color, moving my brush carefully towards the end of the petals each time. I know many have been wanting to try this out, so I went ahead and tested the technique first for you! It does work and the effect is just as it would be with a rubber stamped image! I personally love this flower so much, but watercoloring makes it even better! 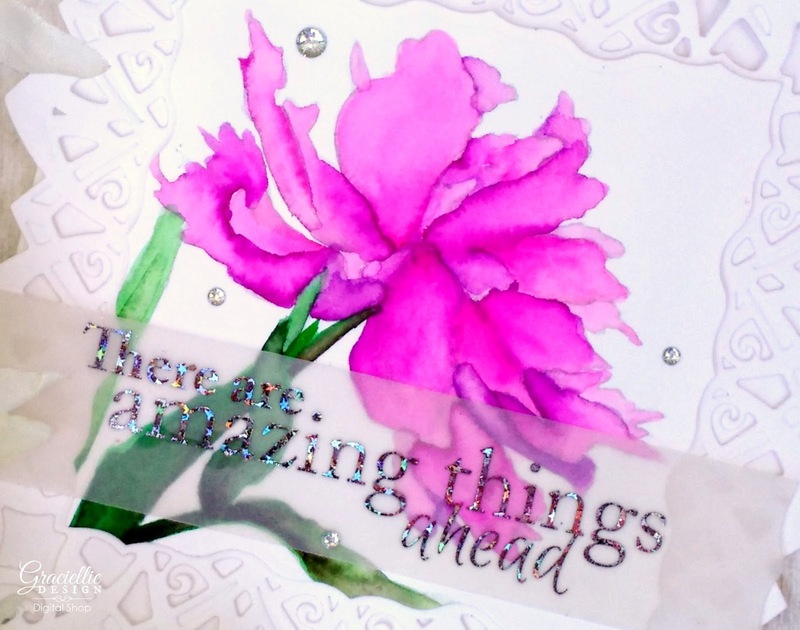 Amazing Things is now available at the shop here. A lucky winner will have a chance to grab some new stamps from the shop! Our prize is a $10 gift certificate to the shop plus our new Pray handlettered stamp set, which is our special commemorative set for the month of May. For a chance to win leave a comment on the blogs! Each comment will give you an entry to the giveaway. I hope you have a great time during the hop and enjoy the tips, tutorials and projects we are all sharing. For more ideas and inspiration make sure to subscribe, so you always get our newsletter! Come back on the 15th as we will be sharing our winner then. Before I go, we have a winner from our Westcott Brand blog hop! The winner that gets 2 pairs of scissors -chosen randomly from comments on the participating blogs- is: Anne. Please send me an email through the contact form (click contact on the blog tabs) so I can coordinate your prize! Congratulations! Hi Gracie, !! your card is so pretty, I love the fuschia and bright white!! Thanks for sharing this Digi tip!! Beautiful coloring Gracie. The stamp is gorgeous! Thank you for the tip for no line coloring with digis. Awesome job on your card, it is so adorable! Me encanta tu resultado de colorear sin lineas. Ha quedado una flor perfecta. Wonderful card and wonderful image. Love the colors too. Really beautiful and love the no-line coloring! I love, love, love the simmer on your sentiment! It really makes your card pop! Your watercolor flower is amazing! So pretty! Truly stunning! I'm so in love with watercolor techniques right now, and your gorgeous floral digital stamps look amazing for painting. Thanks for sharing your cool ideas! Hi, Gracie! I am sad because I don't think my ink jet printers have a draft mode. I think that's what you're talking about, yes? Printing a draft copy so the ink is lighter? Oh well. I am happy to say that we both share May as our birthday month and I love this set of stamps. Thanks for sharing! Linda técnica y trabajar con sellos se torna aun mas hermosas las tarjetas. Felicitaciones a la Diseñadora del mes de Mayo, Maria Luisa. Kren, you can change the color of the image in any editing program, such as Microsoft Word. Just change the format to a very light gray and your printer should be able to print the image lighter. Hope that helps! thank for sharing. look like so beautiful . Welcome to my blog! I'm so glad you're here! 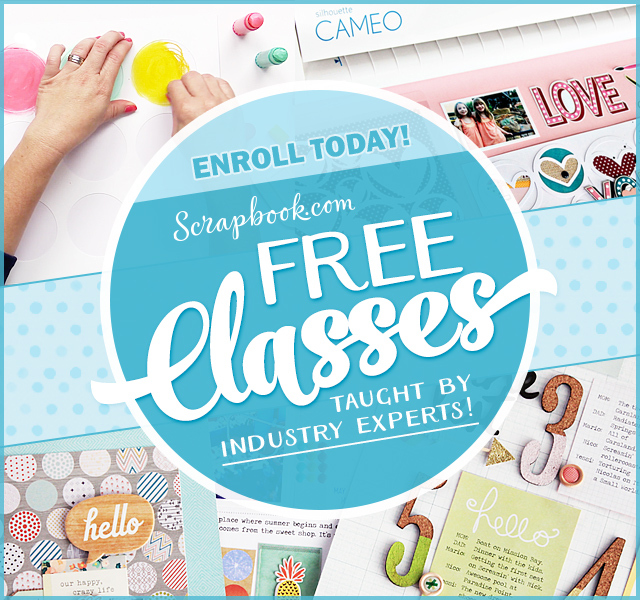 This is where I share all of my favorite crafts and arts related ideas, tutorials, projects and products. Hope you find the inspiration you're looking for.